IS THE PASTOR THE LEADER? How is it that we have arrived at such a non-biblical form of government for the church? Is the pastor the leader of the local church? In practice, yes; but it does not have to be that way. There have been many attempts during my short stay on this planet to rectify this situation, but most have failed. There have been some local examples of biblical leadership, but, by and large, the church universal has failed to grasp the necessity of following the biblical model of plurality of leadership. The church in the United States has greatly influenced how the rest of the world sees the church. We are a country that follows a capitalistic form of economy with a representative form of democracy. The church has essentially followed the same pattern. QUESTION: Is being a pastor the only job for full-time ministry? Of course not; and no one would dare to say otherwise. However, what is our practice? There are plenty of examples of other types of full-time ministry, but almost all these fall under the umbrella of what used to be called “para-church” ministries. Before I go any further allow me to state unequivocally that if you are not in full-time ministry, then you are short-changing yourself and the One who has called and saved you. Regardless of how you earn your dollars, you should be a minister/servant of the Lord all of the time. For our purposes here, however, we are speaking specifically of those who give themselves to “church work,” not including secretaries, music directors and other support staff. In order to lead a church in today’s society, one must be a pastor—regardless of his/her calling. If one claims to be an apostle, in order to be paid by the local church, he must be the pastor. If one is called as an evangelist, in order to earn a living wage with the local church, he/she must become the pastor of that congregation. It has gotten so ridiculous that for one local assembly in our area, a man established his version of the five-fold ministry (Eph. 4:11), and when they meet for a conference they are billed as Apostle Pastor Frank, Evangelist Pastor Lillard, Pastor Pastor Charles, Teacher Pastor Jim. Fortunately, the one he chose to be their prophet does not lead a church. We have become so enamored with titles that we have lost our sense of reality as the Body of Christ. I have met men who insist on being called Pastor So-N-So. I am quite sure that our titles mean less than nothing to the One with whom we have to do. Is the pastor the only one qualified to lead a local congregation? 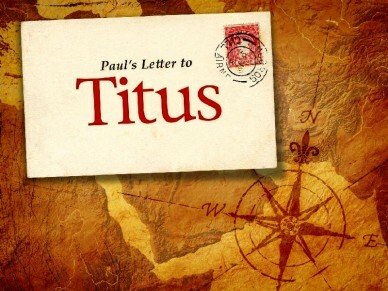 Paul is famous among charismatics for having listed the spiritual gifts of 1 Corinthians 12. However, that is not the only place where spiritual gifts are mentioned. The apostle also lists numerous gifts in his letter to the Romans in Chapter 12. The word so translated is rendered “lead” in many of the more modern translations. QUESTION: Why did Paul not use the word “pastor” here with such a prime opportunity to clarify that the pastor is the leader? Could it be that he knew that leadership does not rest solely with the pastor? Ambiguity shows up once again in 1 Corinthians 12:28 where Paul lists “helps” and “governments” along with apostles, prophets and teachers. The simplest conclusion from all this is that God never intended for one man to have the sole authority over the church—whether universal, as with the Pope, nor locally, as with the pastor. The Protestant Reformation failed to completely disengage itself from the concept of a papacy by continuing the practice within the local church. As a result, error has begun to run rampant within the Body of Christ, which is the very thing Paul addressed with his instructions to Titus. As always, great insights, and a sentiment with which I wholeheartedly agree. May restoration of this principal begin with us. Thank you. May we see the restoration of this principle throughout the Body of Christ; and, yes, we should begin with this as the Lord makes the way.